the Swiss Federal Act regarding Research on Humans, the Swiss Federal Act on Human Genetic Testing and the Swiss Federal Ordinance on Health Insurance set out specific requirements for the processing of health-related data. the Council of Europe Convention for the Protection of Individuals with regard to Automatic Processing of Personal Data of 28 January 1981 (Convention ETS 108) and its additional protocol of 8 November 2001. Although Switzerland is not a member of the EU and, hence, has neither implemented the EU Data Protection Directive 95/46/EC nor is directly subject to the EU General Data Protection Regulation 2016/679 (GDPR), it has been officially recognised by the European Commission as providing an adequate level of protection for data transfers from the EU. A revision of the DPA (see ‘Update and trends’) shall align the DPA with international rules on data protection in order to comply with the upcoming revision of Convention ETS 108 and the GDPR. This will allow Switzerland to uphold its status as a country adequately protecting personal data from an EU perspective, which allows for easier transfer of personal data from the EU and to ratify Convention ETS 108 of the Council of Europe. The FDPIC has no direct enforcement or sanctioning powers against private bodies processing PII. Nevertheless, the FDPIC can carry out investigations on its own initiative or at the request of a third party if methods of processing are capable of violating the privacy of a large number of persons (system errors), if data collections must be registered (see question 25) or if there is a duty to provide information in connection with a cross-border data transfer (see question 35). To this effect, the FDPIC may request documents, make inquiries and attend data processing demonstrations. On the basis of these investigations, the FDPIC may recommend that a certain method of data processing be changed or abandoned. However, these recommendations are not binding. If a recommendation made by the FDPIC is not complied with or is rejected, he or she may refer the matter to the Federal Administrative Court for a decision. The FDPIC has the right to appeal against such decision to the Federal Supreme Court. The draft of the revised DPA (see ‘Update and trends’) foresees that the FDPIC may upon investigation issue binding administrative decisions (instead of recommendations under the current DPA), for example, to modify or terminate unlawful processing. The FDPIC may cooperate with domestic and foreign data protection authorities. This includes general professional exchange with such authorities related to certain specialist areas or regular cooperation within committees, working groups, conferences, etc. However, the FDPIC does not have a mandate or competence to collaborate with other data protection authorities (whether domestic or foreign) as regards supervision and control of processing activities or to share information with them. A collaboration of the FDPIC with foreign data protection authorities in relation to data processing in specific cases may (with the exception of data processing related to judicial and police cooperation or Schengen law respectively) be particularly difficult, as in general, the ordinary course of international judicial assistance must be followed (subject to applicable specific laws). As already mentioned, certain exceptions to the above rule apply within the applicability of the Schengen law, whereby the Ordinance on the national part of the Schengen Information System and the SIRENE Bureau (N-SIS-Ordinance) explicitly foresees a collaboration of the FDPIC with Swiss cantonal data protection authorities as regards coordinated supervision of PII processing, all in accordance with their respective competences. The N-SIS-Ordinance provides further that the FDPIC in performing its tasks shall closely work together with and serve as a national point of contact for the European Data Protection Supervisor. provide the FDPIC with false information in the course of an investigation or refuse to cooperate. the duty of confidentiality of certain professionals to keep sensitive PII and personality profiles. The draft of the revised DPA (see ‘Update and trends’) foresees a fine of up to 250,000 Swiss francs for the wilful breach of the obligations set forth above and further obligations set forth in the DPA. In contrast to the preliminary draft, a negligent breach is not intended to be sanctioned. Wilful breach of professional secrecy shall also be punishable by a fine of up to 250,000 Swiss francs. This new sanction will not be limited to the usual bearers of professional secrets (such as banks under article 47 Banking Act, securities dealers under article 43 Stock Exchange Act, financial market infrastructures under article 147 Financial Market Infrastructure Act or attorneys, auditors, doctors, etc, under article 321 Swiss Penal Code) but extend to any profession for which protection of confidentiality is essential. PII processed by the International Committee of the Red Cross. Ordinance 3 to the Employment Act (regarding employee monitoring). various laws concerning health data (eg, the Swiss Federal Electronic Patient Records Act). Further regulations may apply depending on the given subject matter. The DPA and DPO apply to any data relating to an identified or identifiable person (natural persons or legal entity), irrespective of its form. A person is identifiable if a third party having access to the data on the person is able to identify such person with reasonable efforts. The draft of the revised DPA (see ‘Update and trends’) foresees to remove the protection of personal data relating to legal entities in order to ease cross-border disclosure to jurisdictions that do not protect respective personal data. the result of the violation of privacy occurs in Switzerland (provided the violator should have expected the results of the violation to occur in Switzerland). The DPA applies to any processing of PII. ‘Processing’ is defined in the DPA as any operation with PII irrespective of the means applied and the procedure. In particular, processing includes the collection, storage, use, revision, disclosure, archiving or destruction of PII. An exemption is made for PII that is processed by a natural person exclusively for personal use and is not disclosed to third parties. Unlike in EU countries, there is no specific distinction between ‘owners’ of a data collection (ie, ‘controllers’) and mere ‘processors’. All persons or entities processing personal data are equally subject to the provisions in the DPA and the DPO and have to adhere to the rules set out therein. PII must not be processed against the explicit will of the data subject. collects PII on a person of public interest, provided the data relates to the public activities of that person. administrative or criminal proceedings and sanctions. A personality profile is a collection of PII that permits an assessment of essential characteristics of the personality of a natural person. additional requirements depending on the specific case (eg, information duties, obligations to register data collections). the categories of data recipients if disclosure is intended. This duty to actively provide information also applies if the data is collected from third parties. The data subject has to be informed before the PII is collected. If the data is not collected from the data subject, the data subject must be informed at the latest when the data is stored or if the data is not stored, on its first disclosure. The information does not have to be provided in a specific form. For evidentiary purposes, however, the information should be provided in writing or in another recordable form. The draft of the revised DPA (see ‘Update and trends’) foresees that the FDPIC must be notified in case of unlawful processing or loss of personal data (see question 21). The data subject shall also be informed about unlawful processing or loss of personal data if it is necessary to protect his or her privacy or if the FDPIC so requests. Further, the data subject shall be informed about automated decisions (ie, decisions taken solely on the basis of automated data processing) that have legal consequences or significantly affect him or her, and - under certain circumstances - be given the opportunity to comment on such decisions and processed PII. There are certain exceptions to this duty to inform, for example, if providing the information would result in the violation of overriding interests of third parties or if the data collection owner’s own overriding interests justify not informing the data subject (in the latter case this exception only applies if the PII is not shared with third parties). the provision of information is not possible at all, or only with disproportionate inconvenience or expense. See question 37 et seq. Anyone who processes PII must ensure that the data is accurate and take all reasonable measures to ensure that PII, which, in view of the purpose of its collection is or has become incorrect or incomplete, is either corrected or destroyed. Other than the general principle that processing of PII must be proportionate, there are no rules on amount or duration of its holding. According to this principle, processing may only be conducted in so far as it is necessary and fits the purpose for which PII is processed. The same applies to the duration. Accordingly, the permitted amount and duration must be assessed on a case-by-case basis. According to the DPA, PII may only be processed for the purpose stated or evident at the time of collection or that is provided for by law. Use of PII for other purposes than those stated or apparent at the time of collection or provided for by law constitutes a breach of a general principle of the DPA, which is only permissible in the case of appropriate justification (see question 11). input control - in automated systems, it must be possible to carry out a retrospective examination of what PII was entered at what time and by which person. The draft of the revised DPA (see ‘Update and trends’) foresees that appropriate measures shall be taken to avoid breaches of privacy (privacy by design) and data-protection-friendly presets shall be provided (privacy by default). There is no general or sector-specific data security breach notification obligation under Swiss data protection law. As a rule, it would contravene the general principles of tort law to provide for an obligation of the violator to proactively inform the damaged person or persons. Nevertheless, the FDPIC has advised lawmakers to oblige providers of social networking sites to inform data subjects of data breaches. The draft of the revised DPA (see ‘Update and trends’) foresees an explicit obligation of data breach notifications (see question 13). The appointment of a data protection officer is not mandatory in Switzerland. However, the registration of data collections is not required if the owner of a data collection has appointed a data protection officer that independently monitors data protection compliance within the owner’s business organisation and maintains a list of data collections. the organisational structure of the owner of the data collection and the particularities of the data processing performed by the owner of the data collection. The appointment of a data protection officer will only result in a release of the duty to register data collections if the FDPIC is notified of the appointment of a data protection officer. A list of such business organisations who have appointed a data protection officer is publicly accessible on the FDPIC’s website. The data protection officer has two main duties. First, the data protection officer audits the processing of PII within the organisation and recommends corrective measures if he or she finds that the data protection regulations have been violated. He or she must not only assess compliance of the data processing with the data protection requirements on specific occasions, but also periodically. The auditing involves an assessment of whether the processes and systems for data processing fulfil the data protection requirements, and whether these processes and systems are in fact enforced in practice. If the data protection officer takes note of a violation of data protection regulations, he or she must recommend corrective measures to the responsible persons within the organisation and advise them on how to avoid such violations in the future. The data protection officer does not, however, need to have direct instruction rights. Second, the data protection officer maintains a list of the data collections that would be subject to registration with the FDPIC. The list must be kept up to date. Unlike the data collections registered with the FDPIC, the internal data collections do not have to be maintained electronically nor must they be available online. However, they must be made available on request to the FDPIC and to data subjects. have access to all data collections and all data processing, as well as to all information that he or she requires to fulfil his or her duties. There is no particular protection against dismissal of the data protection officer. The data protection officer can be an employee of the data controller or an external person. Although the owner of a data collection may have to provide available information about the source of collected data (see question 37), there is no obligation to actually keep the according records. However, if such information would be deleted upon receiving an inquiry by a data subject, this could be deemed to be breaching the principle of good faith. The draft of the revised DPA (see ‘Update and trends’) foresees a record-keeping obligation for both controllers and processors. In general, PII must be protected against unauthorised processing through adequate technical and organisational measures (see question 20); however, there is currently no obligation to carry out a privacy impact assessment. The draft of the revised DPA (see ‘Update and trends’) foresees additional obligations in relation to new processing operations, such as appropriate measures to be taken to avoid breaches of privacy (privacy by design) and the carrying out of a privacy impact assessment under certain circumstances. The owner of a data collection that regularly processes sensitive PII or personality profiles, or regularly discloses PII to third parties, has the obligation to register such data collection with the FDPIC. A data processor that transfers PII outside Switzerland is, under certain circumstances, obligated to notify the FDPIC of the data protection safeguards put in place. the categories of persons participating in the data collection, namely, third parties who are permitted to enter and modify PII in the data collection. The owner of the data collection is under the obligation to keep the data collection registration up to date. Online registration is possible at www.datareg.admin.ch. No fees are charged for registration of a data collection. they wilfully and continuously fail to update the registration information. The draft of the revised DPA imposes fines of up to 250,000 Swiss francs in case of breach of certain duties under the DPA (such as information, notification and cooperation duties, compliance measures, etc), including the failure to make or maintain an entry on the register (see question 4 and ‘Update and trends’). In contrast to the preliminary draft, a negligent failure is no longer foreseen to be sanctioned. Swiss law does not provide for the FDPIC to refuse an entry on the register. The database of data collections registered with the FDPIC is publicly available and can be accessed by anyone free of charge via the internet at www.datareg.admin.ch. On request, the FDPIC also provides paper extracts free of charge. Registering a data collection with the FDPIC does not have additional legal effects. Other than the registration of a data collection or the notification to and publication by the FDPIC of the appointment of a data protection officer, as applicable (see questions 22 and 29 respectively), there are no public transparency duties under Swiss data protection law. The appointment of a data protection officer results in a release of the duty to register data collections with the FDPIC, provided the FDPIC is notified of such an appointment. A list of respective companies and organisations that have appointed a data protection officer is publicly accessible on the FDPIC’s website. The processing of PII may be transferred to a third party if the transferor ensures that the third party will only process data in a way that the transferor is itself entitled to and if no statutory or contractual secrecy obligations prohibit the processing by third parties. The transferor must ensure that the third party will comply with the applicable data security standards. Although this is not a statutory requirement, data processing should be outsourced to third parties by written agreement only. Such agreement will typically require the third party to process the PII solely for the purposes of, and only under the instructions of, the transferor. conclusion of a written contract with the service provider setting out, among other things, the company’s obligation to make the use of subcontractors (by the service provider) for significant functions contingent on its prior approval and measures to ensure implementation of the requirements as regards instruction and control rights, security, audit rights and cross-border outsourcing. With FINMA’s issuance of Circular 2018/3 (formerly Circular 2008/07), any references to data protection and customer-focused requirements (in particular with respect to comprehensive information duties and the extraordinary termination right) have been removed. Such aspects are now governed by the respective federal acts only. For general requirements regarding disclosing of PII, sensitive PII and personality profiles, see questions 11 and 12. It should be noted that even the communication of PII between companies belonging to the same corporate group is deemed to be disclosure of PII to third parties. Only transmission to an outsourcing provider (see question 32 for requirements) does not constitute such disclosure. Regularly disclosing information contained in a PII collection entails a registration obligation for such collections. PII may only be transferred outside Switzerland if the privacy of the data subject is not seriously endangered, in particular, due to the absence of legislation that guarantees adequate protection in the jurisdiction where the receiving party resides. The FDPIC has published on its website a list of jurisdictions that provide adequate data protection (www.edoeb.admin.ch/edoeb/en/home/data-protection/handel-und-wirtschaft/transborder-data-flows.html). The EEA countries and Andorra, Argentina, Canada, the Faroe Islands, Guernsey, the Isle of Man, Israel, Jersey, Monaco, New Zealand and Uruguay are generally considered to provide an adequate level of data protection as regards PII of individuals (however, many do not with regard to PII of legal entities), while the laws of all other jurisdictions do not provide adequate data protection. disclosure is made within the same legal person or company or between legal persons or companies that are under the same management, provided those involved are subject to data protection rules (ie, binding corporate rules) that ensure an adequate level of protection (see below for details). Data transfer agreements or data transfer clauses are regularly used in practice. It is the responsibility of the data transferor to ensure that an agreement is concluded that sufficiently protects the rights of the data subjects. The data transferor is free to decide whether or not to make use of a standard form. The FDPIC provides a model data transfer agreement (owner of a data collection to a data processor), which can be accessed on its website. The model data transfer agreement is based on Swiss law and reflects to a large extent the standard contractual clauses of the European Commission for data transfers. Further, the FDPIC has pre-approved the European Commission’s standard contractual clauses for data transfers and the model contract of the Council of Europe as safeguards, which provide adequate data protection, although it is unclear whether they must be adapted to also cover PII of legal entities and the protection of personality profiles. An acceptable method for ensuring adequate data protection abroad are binding corporate rules (BCRs) that sufficiently ensure data protection in cross-border data flows within the same legal person or company or between legal persons or companies that are under the same management. The owner of the data collection must notify the BCRs to the FDPIC. BCRs should address at a minimum the elements covered by the model data transfer agreement provided by the FDPIC. The draft of the revised DPA (see ‘Update and trends’) foresees BCRs to be approved (not only notified to the FDPIC). The US-Swiss Safe Harbor Framework, established in 2009, was considered to provide adequate protection for the transfer of personal data from Switzerland to the US. In its decision of 6 October 2015, the CJEU held that the US-EU Safe Harbor Framework does not provide adequate protection for the transfer of personal data abroad. Even though that decision only concerns the US-EU Safe Harbor Framework and is not directly applicable to Switzerland, the FDPIC declared that the US-Swiss Safe Harbor Framework can no longer be considered to provide adequate protection. In February 2017, Switzerland and the US agreed on a new framework for the transfer of personal data from Switzerland to the US called the Swiss-US Privacy Shield, thereby replacing the US-Swiss Safe Harbor Framework. US companies processing personal data may self-certify to the Swiss-US Privacy Shield with the US Department of Commerce and thus publicly commit to comply with the new framework. Switzerland acknowledges that the level of protection of personal data for such certified US companies is adequate. As a result, Swiss companies are able to transfer personal data to those US business partners without the need to procure the consent of each data subject or to put additional measures in place. As stated in question 34, PII may be transferred outside Switzerland to a jurisdiction that does not provide for adequate data protection based on safeguards that ensure adequate protection such as contractual clauses or binding corporate rules; however, the FDPIC must be notified of such safeguards. The FDPIC may, during a period of 30 days, review the safeguards, though the data transferor does not have to wait for the result of the FDPIC’s review or obtain approval. Moreover, if PII is transferred outside Switzerland on the basis of safeguards that have been pre-approved by the FDPIC (eg, the model data transfer agreement issued by him or her), the FDPIC only has to be informed about the fact that such safeguards form the basis of the data transfers. In the case of service providers, onwards transfer is only permissible under the same conditions as the initial transfer abroad, otherwise, the owner of the data collection in Switzerland may be breaching DPA provisions. Accordingly, when transferring data abroad under a data transfer agreement, this point should be addressed explicitly (as, eg, the FDPIC’s model data transfer agreement does). the recipients of the PII. The owner of a data collection must generally comply with requests by a data subject and provide the requested information in writing within 30 days of the receipt of the request. If it is not possible to provide the information within such time period, the owner of the data collection must inform the data subject of the time period during which the information will be provided. it is required to protect an overriding interest of the owner of the data collection, provided that the PII is not shared with third parties. the provision of information entails an exceptionally large amount of work. The share of the costs may not exceed 300 Swiss francs. The data subject must be notified of the share of the costs before the information is provided and may withdraw its request within 10 days. right to object to the processing or disclosure of PII. Further, if it is impossible to demonstrate whether PII is accurate or inaccurate, the data subject may also request the entry of a suitable remark to be added to the particular piece of information or data. Violations of the DPA may be asserted by the data subject in a civil action against the violator. The data subject may file claims for damages and reparation for moral damages or for the surrender of profits based on the violation of his or her privacy and may request that the rectification or destruction of the PII or the judgment be notified to third parties or be published. In the case of breach, a data subject needs to exercise these rights by itself through civil action. The FDPIC does not have the authority to enforce such individual rights by him or herself (see question 2 for details on the FDPIC’s competences). The most important derogations, exclusions and limitations have been mentioned above. As previously stated, depending on the subject matter, there may be additional regulations applicable that can have significant impact on the general data protection rules, adding to them, modifying them or even exempting them from application. The FDPIC’s recommendations are non-binding, hence, there is no need for them to be reviewed by a judicial body. The verdicts of the Federal Administrative Court, which may ensue when the owner of a data collection refuses to follow such recommendation (see question 2), on the other hand, are appealable to the Federal Supreme Court both by the FDPIC as well as the defendant. There is no statutory requirement or judicial practice concerning form, but prevailing opinion considers such information to be sufficient if it is placed on a data protection or a questions and answers sub-page or similar. The cookie banners or pop-ups, which are often seen on websites of other European countries nowadays, seem to be dispensable, although this has not yet been subject to judicial review. In 2007, Switzerland adopted a full consent opt-in regime with respect to unsolicited mass advertisement by means of telecommunications (eg, email, SMS/MMS, fax or automated telephone calls). Pursuant to this law, the sender of an unsolicited electronic mass advertisement must seek the concerned recipient’s prior consent to receive such mass advertisement and indicate in the advertisement the sender’s correct contact information and a cost- and problem-free method to refuse further advertising. If a supplier collects PII relating to his or her customer in connection with a sales transaction, the supplier may use such data for mass advertisement for similar products or services if the customer has been given the option to refuse such advertisement (opt out) at the time of sale. The law does not specify for how long the supplier may use such customer data obtained through a sales transaction for mass advertisement. A period of about one year from the time of sale seems adequate. There are no rules specifically applicable to cloud services. In general, personal data must be protected by appropriate technical and organisational measures against unauthorised processing regardless of where it is stored. Anyone processing personal data must ensure its protection against unauthorised access, its availability and its integrity (see question 20). Further, the use of cloud services constitutes an outsourced processing service if the personal data is not encrypted during its storage in the cloud (for requirements in this regard, see question 32 et seqq) and, in case the servers of the cloud are located outside Switzerland and the personal data is not encrypted during its transfer and storage, an international transfer of personal data (for requirements in this regard, see question 34 et seq). Additionally, the FDPIC has issued a non-binding guide outlining the general risks and data protection requirements of using cloud services (www.edoeb.admin.ch/edoeb/en/home/data-protection/Internet_und_Computer/cloud-computing/guide-to-cloud-computing.html). The first part includes the revision of only those provisions of the DPA that are required due to the implementation of Directive 2016/680 of 27 April 2016 on the protection of natural persons with regard to the processing of personal data by competent authorities for the purposes of the prevention, investigation, detection or prosecution of criminal offences or the execution of criminal penalties, and on the free movement of such data (the Directive). The Directive must be implemented by Switzerland as it forms part of the Schengen acquis. The scope of the Directive is limited to the processing of personal data by competent authorities for the aforementioned purposes. Accordingly, it only imposes additional obligations on authorities conducting such processing as a controller and natural or legal persons processing personal data as a processor on behalf of such an authority. Thus, it is of less relevance for private companies. 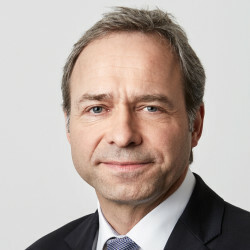 The second part of the DPA revision (ie, the revision of those DPA provisions necessary to uphold the EU adequacy decision for Switzerland, such as provisions introduced in the EU through the GDPR) will be taken up subsequently and the respective timing remains unknown, although it is currently expected that the second part of the revision will enter into force around late 2019 or early 2020.